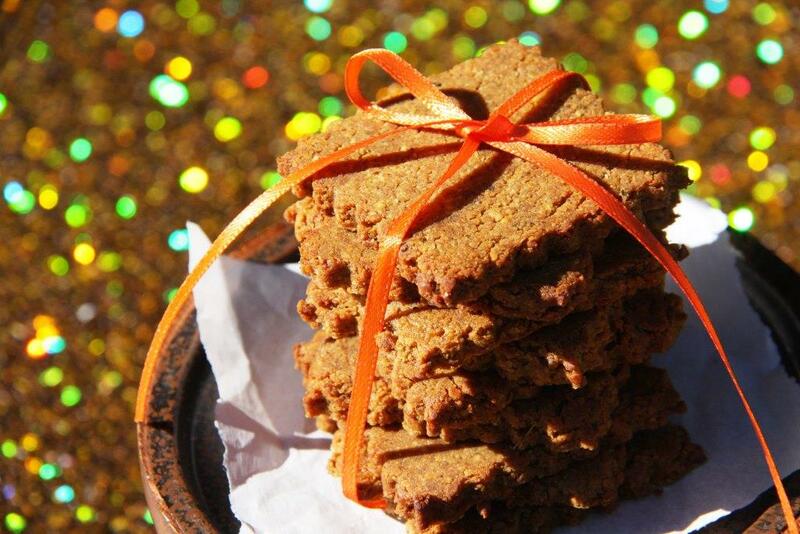 MASALA SPICE COOKIES – Gluten Free & Paleo & Recipe Contest FOR YOU! My life has taken some crazy turns in the last month. My family and I are currently preparing for a move out of state. Having spent my entire life as a Californian, I am excited for the adventure that awaits while also nervous, giddy, and BUSY! Needless to say, I haven’t been giving Veggie Grettie much attention lately. Did I mention that my son also broke his wrist…craziness I tell ya!!! In the midst of the broken wrist debacle, the folks over at Grandma’s Molasses called and provided me with some much needed cooking inspiration and a wonderful distraction to the endless lists of tasks still to be done. I needed some time in the kitchen (my therapy) and here was my excuse. The task I was given was to come-up with a cookie recipe using molasses that wasn’t your standard ginger snap (Put your thinking caps on because YOU will have an opportunity to enter their recipe contest!! !…see below for details). When it comes to sugar, molasses is one of the all-stars. I am not saying it is OK to go out and over-consume any sugar, but when it comes to molasses it actually does have some redeeming qualities. 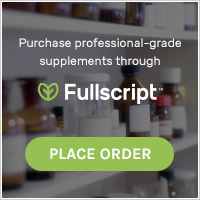 One hundred grams of molasses contains 50% of the RDA for calcium, 95% of the RDA for iron, and 38% of the RDA for magnesium. I dare you to find another sugar with the same nutrition profile. When I think of molasses I think of spice and as I pondered spice my mind wandered to Indian flavors which led me to the flavor profile of this cookie. Garam Masala and curry came to mind. Mix that with molasses, honey, and ginger and you have one heck of a cookie on your hands; crispy on the edges, chewy in the middle, not too sweet, and packed with flavor. Preheat the oven to 350 degrees (I used convection bake). Pack the almond flour when measuring it and then place it in a bowl. Use a fork remove the lumps from the almond flour. Add in the Garam Masala, curry powder, and fresh ginger making sure to distribute the spices well. Add the ghee and mix well with the fork until small lumps are throughout the crumbly dough. Add the vanilla, molasses, and honey and stir well. Lastly, add the egg and stir well until a batter forms. Pour the batter onto a parchment paper lined cookie sheet carefully spreading it into a thin rectangle. Bake for 8 minutes rotating the cookie sheet half-way through. Remove the cookie sheet from the oven and allow it to cool to the point where you can safely touch the batter. Make a ball with the batter and roll it out between two sheets on parchment paper until it is 1/8″ thick. 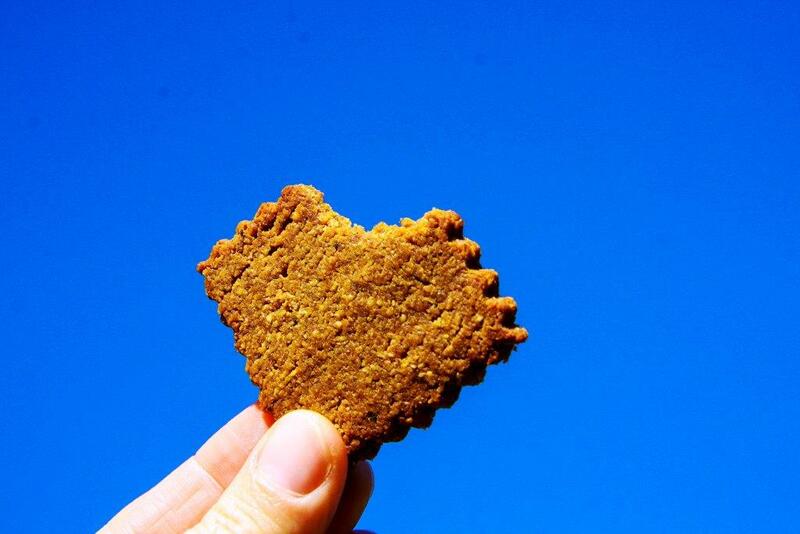 Use a cookie cutter to cut out the cookie shapes of your choosing (I used a 2 1/4″ square cookie cutter). Roll the excess dough into a ball and repeat the process until you have used-up all the cookie dough. Place the cookies on a parchment lined cookie sheet and bake for 10-12 minutes (rotate 1/2 way through). Watch carefully to prevent burning. Allow the cookies to cool and enjoy! 1. On Dec. 3rd, Grandma’s Molasses will launch a Facebook recipe submission contest and will showcase 12 featured blogger recipes over 12 days and celebrate recipe sharing in general, so check out their Facebook Page for details. *** I was compensated for this post, however the opinions and content of the post belong solely to me…It is so fun when a company gives you creative control and lets you run with it! 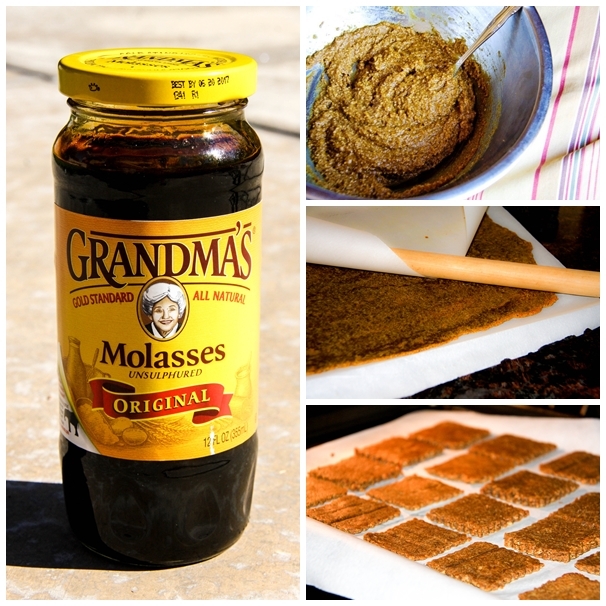 To learn more about molasses click HERE.